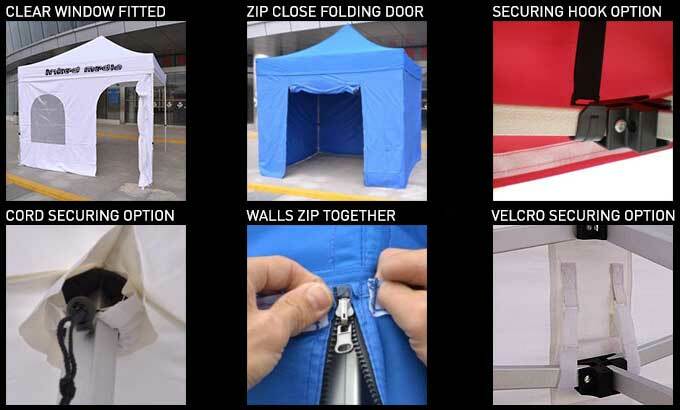 Get Our 4x8m Printed Marquee Tent Custom Printed With Your Logo! Massive 4 by 8 metre marquee tent offers a huge branding and advertising space. The next time you book an event, think about going up to a larger stall space and promoting your entire range of products, this massive marquee is great for not only showcasing all your products but offers room for demonstrating products to groups of people and even parking promotional vehicles or signs under. In wet wether you can invite people under the marquee to try your products out or take a sample pack home with them and not worry about the rain destroying your display items. All this is great but what about that massive advertising area? 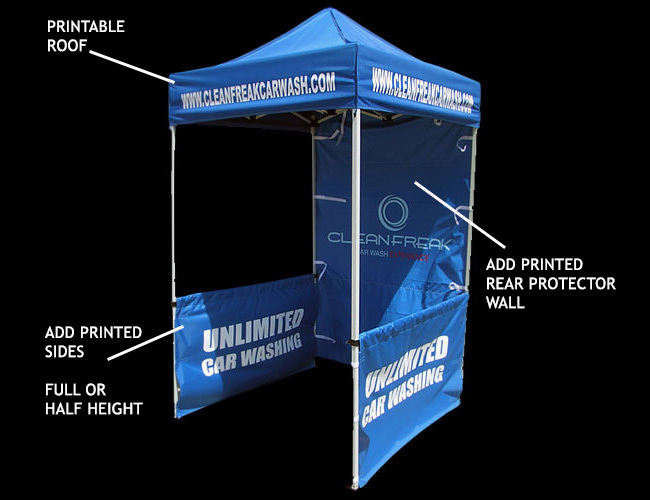 People will see your brand from a long way away due to the extended height of the marquee and the huge flat printable canopy which is designed to accept your corporate branding in beautiful full colour digital print. All frames and construction of the marquee is carried out using premium hexagonal aluminum framework which is anodised or powder coated according to client requirements. With a focus on quality these frames are designed to stand up to most conditions, sun and heat exposure for long periods of time also very low impacts and bumps from general use. 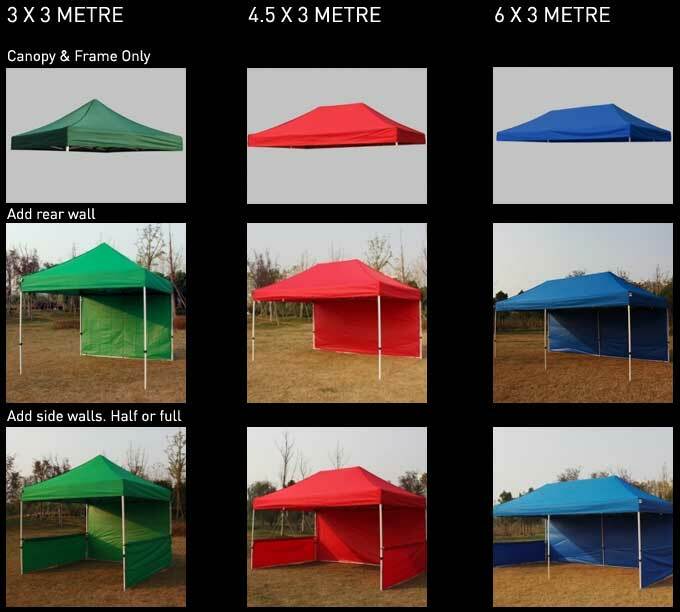 ***please note these marquees are not recommended for use in high wind conditions and if the marquee is picked up by the wind and swept away the frame may be damaged and require replacement parts to be purchased.